“Tomini?” He asked, pleased he was drinking again. Hope all went well with the ACL. It’s cloudy here and windy. Still, it’s not too different. Be well pal. 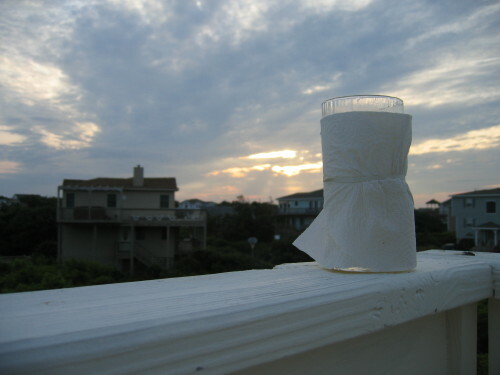 This entry was posted in Uncategorized and tagged cocktails, Hemingway, OBX, Tomini. Bookmark the permalink. I’m normally found on the southern part of the Inner Banks, but we usually make it out to Ocracoke, and sometimes as far up as Nags Head. If you see “Rumwake” cruising by throw us a wave!